A modern two bedroom first floor apartment set in the popular Woodlands Village development on the fringe of the city centre, within easy reach of local shops and the Sandal/Agbrigg railway station. Available with no chain involved. EPC rating D63. A modern purpose built first floor apartment with two bedrooms set in this popular development on the fringe of the city centre. 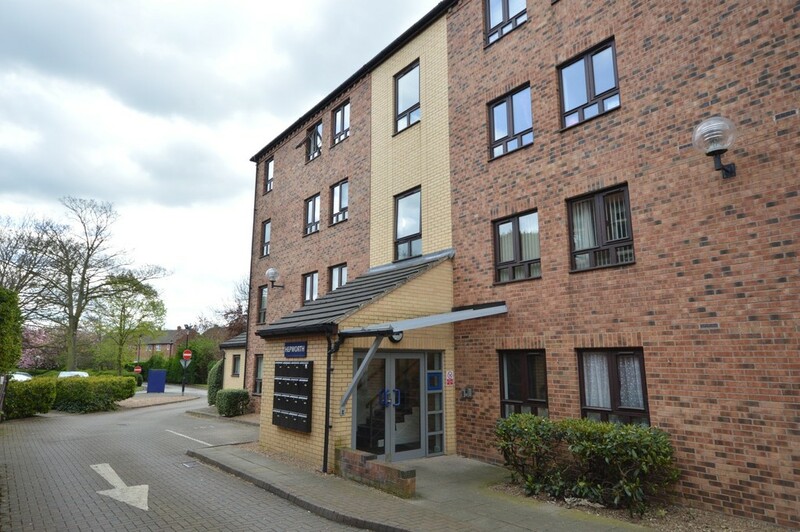 With a gas fired central heating system, this comfortable apartment is approached via a communal entrance hall that has a remote entry intercom system. On the first floor, there is a private entrance hall that leads through into a nicely proportioned living room, which in turn leads into a good size fitted kitchen. There are two bedrooms that are served by a bathroom with a modern white and chrome suite. The property stands in communally managed gardens with private parking to the rear. Forming part of the popular Woodlands Village development, the property is situated within easy reach of local shops and the Sandal/Agbrigg railway station. Wakefield city centre is less than two miles away. COMMUNAL ENTRANCE HALL Video entry intercom and stairs to the first floor. PRIVATE ENTRANCE HALL 5' 10" x 4' 3" (1.8m x 1.3m) Front entrance door, laminate flooring and archway through to the living room. LIVING ROOM 13' 1" x 11' 1" (4.0m x 3.4m) With a window to the front, double central heating radiator and laminate flooring. Archway leads through to the kitchen. KITCHEN 9' 10" x 9' 2" (3.0m x 2.8m) Fitted with an attractive range of light wood grain effect wall and base units with contrasting dark laminate worktops with matching up stands and incorporating a circular stainless steel sink unit with matching drainer, inset stainless steel four ring gas hob with matching filter hood over, built in oven, space and plumbing for a washing machine, space for a tall fridge freezer, window to the front, double central heating radiator and laminate flooring. BEDROOM ONE 12' 9" x 8' 6" (3.9m x 2.6m) Window to the front, central heating radiator. BEDROOM TWO 8' 10" x 6' 2" (2.7m x 1.9m) Window to the front and a central heating radiator. BATHROOM/W.C. 12' 5" x 4' 3" (3.8m x 1.3m) With part tiled walls, fitted with an attractive modern white and chrome suite composing panelled bath with shower over and glazed screen, pedestal wash basin and low suite w.c. Wall mounted ladder style heated towel rail and extractor fan. OUTSIDE The property stands in communally managed gardens with private parking to the rear. DIRECTIONS Leave the centre of Wakefield on the A61 Marsh Way. At the junction bear right to stay on the A61 Barnsley Road and then after 0.6 miles turn right onto Manygates Lane. The entrance to Woodlands Village is then immediately on the right hand side and following the access road around to the left, the property is in the first building on the left hand side. LEASEHOLD The ground rent is £175 (pa). The remaining term of the lease is 114 years (2017). A copy of the lease is held on our file at the Wakefield office. VIEWINGS To view please contact our Wakefield office and they will be pleased to arrange a suitable appointment. 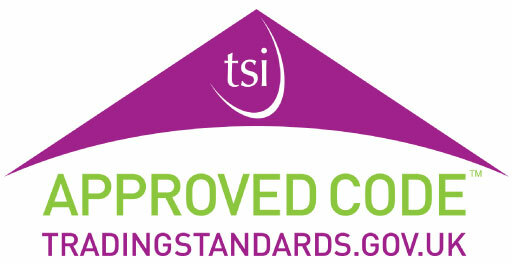 EPC RATING To view the full Energy Performance Certificate please call into one of our five local offices. LAYOUT PLAN This floor plan is intended as a rough guide only and is not to be intended as an exact representation and should not be scaled. 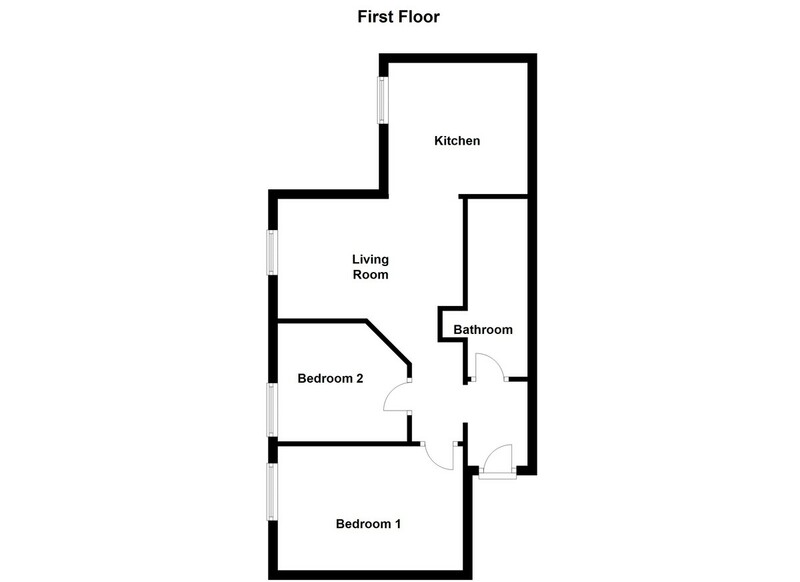 We cannot confirm the accuracy of the measurements or details of this floor plan.